Your dentist in Greensboro, NC, loves seeing healthy gums and teeth. You're more likely to have a great six-month examination if you keep good oral hygiene habits. Dr. James Lemmons and his team teach the best preventive dental techniques to all their patients--young and old, and these routines are simpler than you may think. Yet, they pay big dividends of beautiful, long-lasting smiles. Taking care of your teeth and gums involves three steps. Integrated into your busy life, these habits prevent tooth decay, gum disease, and other oral health problems. The three steps are: brush, floss, and eat. You've been brushing since you were a little child, but are you brushing correctly? First off, what's your toothbrush like? Are the bristles soft? Is the head the right size for your mouth? Do you prefer manual brushes or electric? Is your toothbrush worn? When did you last have the flu or a cold? Answer these questions honestly, and then start the right brushing routine. Brush twice daily for at least two minutes, says the American Dental Association. Use a fluoride toothpaste, and angle your brush at a 45-degree angle to your teeth. Move the brush back and forth, and clean all tooth surfaces--front, back, and chewing areas. Clean your tongue, too, as it readily retains oral bacteria. Rinse with water or a mouthwash. Periodically inspect your brush for wear. Replace it every two to three months. If you have recovered from the flu or a cold, replace your toothbrush right away. It's not that complicated. Unfortunately, however, many people neglect this important habit. Pick a flossing product you are comfortable using. Interproximal brushes, strand floss, water flossers, and Y-shaped flossers are common choices. Most people floss at bedtime. With strand floss, wind an 18-inch length around the index fingers of your right and left hand. Pull the floss taut, and insert it gently between your top two front teeth. Creating a C-shape, move the floss up and down in the interdental space, avoiding cutting into your gums. If you are not used to flossing, your gums may bleed a bit, but this will resolve within a few days. After flossing, rinse with clear water. There's more to a tooth- and gum-friendly diet than avoiding carbs and processed sugars. Be sure to eat fibrous vegetables and fruits to cleanse and exercise teeth and gums, and also, enjoy dairy products and high-protein meats, poultry and fish. Water is important, too. Drink several glasses of water daily to keep teeth and gums fresh, clean and hydrated. Water helps you make saliva, too, which aids digestion and keeps oral bacteria at bay. Enjoy them for a lifetime as you practice good oral hygiene. Dr. Lemmons and his team look forward to helping you maintain your best smile in Greensboro, NC. Call the office today for your semi-annual cleaning and check-up: (336) 292-9290. You can see a major smile improvement when you opt for other cosmetic dental treatments, but if you want a true Hollywood quality smile, veneers are the most reliable choice. Veneers can give you a completely different smile and change your entire facial aesthetic. It’s one of the most in-demand cosmetic treatments offered by Dr. James Lemmons at his Greensboro, NC dentist office. Many people quietly care a lot about the way their teeth look, but they don’t think that they can achieve any significant improvement if they go to the dentist. Veneers can fix even the most worn down and unattractive teeth. If you have given up on your smile, change your mind and see a dentist for a veneers consultation. You might learn that it is the perfect way to renew your smile, no matter your age or what dental challenges you’ve experienced. - Small spaces between the teeth. - Chips and rough edges. - Severe intrinsic tooth discoloration. - Don’t use your veneers for biting into your meals. Cut your food and place it in the back of your mouth for chewing. Also, avoid contact with steaming hot beverages. - Brush and floss your veneers (as well as your other teeth) every day, and if possible after every meal. - Protect your gum health and monitor your mouth for symptoms of gum disease. See your Greensboro dentist for regular checkups. You may have assumed that your teeth are as attractive as they can be, but with veneers your smile can look just as good as your favorite celebrity’s. Call (336) 292-9290 today to schedule an appointment with Dr. Lemmons in Greensboro, NC to find out how veneers can renew your smile. Many people of all ages are gripped with fear and anxiety of going to the dentist, even for routine procedures like a check up and dental cleaning. Even if you brush and floss your teeth every day and eat a relatively healthy diet, the American Dental Association (ADA) and Centers for Disease Control and Prevention (CDC) recommend going to the dentist every six months for preventive treatment. Skipping dental treatment when nothing is wrong may not seem like much of an issue, but it can actually increase your risk of needing more invasive treatment in the future for tooth decay or gum disease. The good news is you don't have to sacrifice your oral health (or skip cosmetic improvements), even if you suffer from anxiety or heightened sensitivity to pain. Dr. James Lemmons, a dentist in Greensboro, NC, offers several forms of sedation dentistry to help you and your family get the dental care you need. Sedation dentistry uses medication to help anxious and nervous patients relax while undergoing dental treatment. Most people are familiar with one of the most famous forms of sedation dentistry (laughing gas) from comedy skits and TV shows. Sedation dentistry is also sometimes referred to as sleep dentistry when general anesthesia is used to put a person completely to sleep, but there are several options available for every type of patient and procedure. 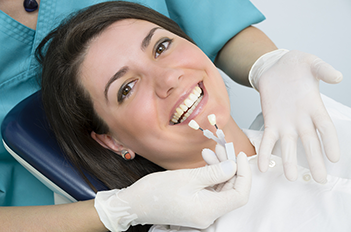 Oral Sedation Dentistry - The perfect option for patients afraid of needles. Oral medication options include Valium, Halcion, Ativan, Versed, Vistaril, and Sonata. Inhalation Conscious Sedation - A combination of nitrous oxide and oxygen ("laughing gas"). Used primarily to relieve anxiety and cause relaxation during a procedure. IV Conscious Sedation - A stronger dose of sedatives are delivered directly into the bloodstream through an IV line in your vein. For more information on the various types of sedation dentistry and how it can help you get the dental care you need, contact our office by calling (336) 292-9290 to schedule an appointment with Dr. Lemmons today. Would you like your Greensboro dentist to fix your smile? It's understandable that your smile is important for first impressions, especially for job interviews, dates, or weddings. This is why Dr. James Lemmons offers tooth contouring and reshaping to his patients. Contouring and reshaping your teeth are simple, cosmetic procedures that will save you plenty of time and money, and can give you a more confident smile. Who needs tooth contouring and reshaping? The doctor, as mentioned above, will assess your teeth by scanning each tooth visually and then by using an x-ray. If any serious problems need to be fixed, like tooth decays, he will address those issues first. The next step involves removing some enamel, which will straighten your teeth. He will then smoothen out and polish the resurfaced teeth, which should give you the smile you want. 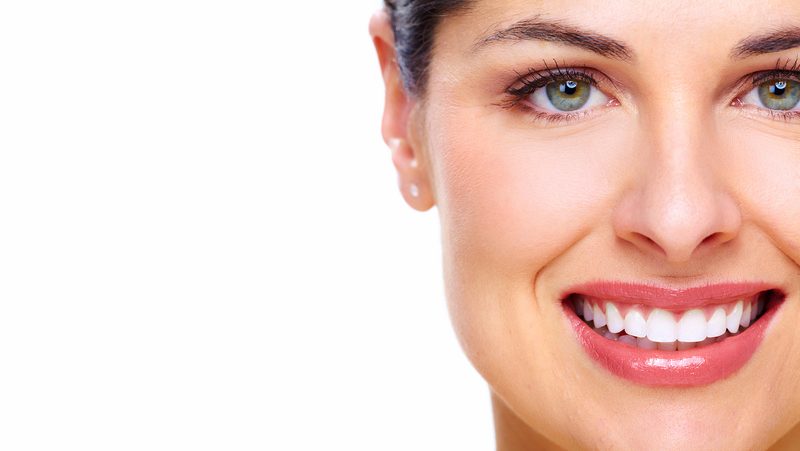 If need be, the dentist may use dental bonding and veneers to cover the imperfections he finds. If you have problems with bruxism (grinding teeth), then you may damage your teeth after having them fixed at the dentist's office. So make sure you get a mouth guard to wear at night or discuss another treatment plan with your dentist that is better suited for you. Also, having a healthy oral regimen is of the utmost importance. When brushing your teeth, make sure to hold the brush at a 45-degree angle and brush for a whole two minutes. This should be done twice a day, at least, in addition to flossing before bed. If you have any questions or concerns about tooth contouring and reshaping, then call Dr. Lemmons at his Greensboro, NC, office at (336) 292-9290.